It happens with every assignment, in every class. Early finishers, fast finishers, the speedsters, whatever you call them, they show up. 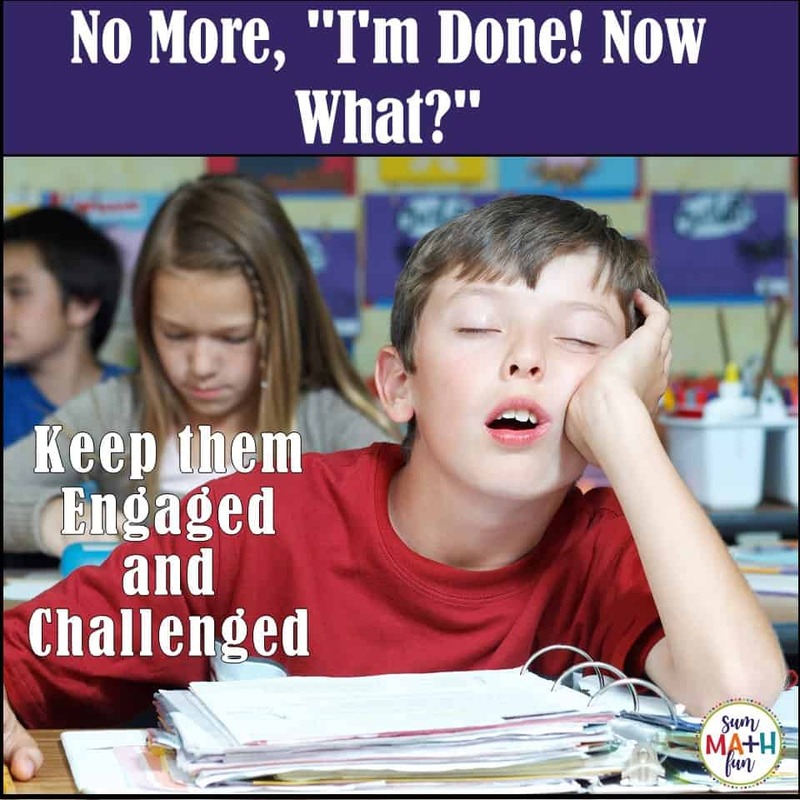 They can add so much to a classroom, but what do you do with them when they’re, “Done!”? I don’t want early finishers wasting their time just sitting. I don’t want to give them busy work. I don’t want to give them just more of the same. I don’t want them to take out their library book and read, or to finish their social studies homework now. Nope! It’s math class time and I want early finishers engaged in meaningful mathematics. I want them to continue learning and thinking mathematically. What can I do to make that happen? What’s fast, engaging, and requires actual thinking on the student’s part and little preparation on mine?? 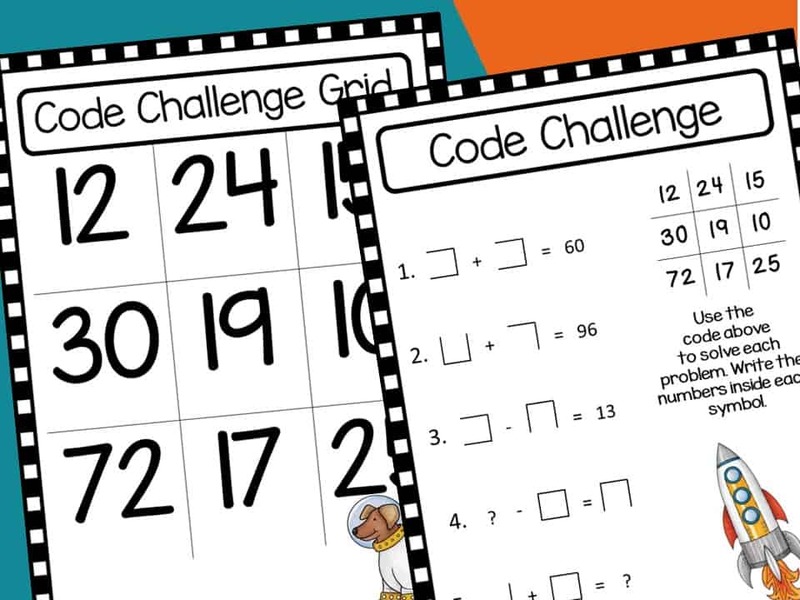 This Code Challenge activity is one of my favorite activities for early finishers! I can whip it up quickly and easily with very little prep, or thinking on my part, and…I love that! The kids are eager to do it frequently. They’re engaged, learning, challenged, and it makes them feel “smart” to be doing and creating something different. Plus, it can be re-invented quickly and students can continually add to it. My early finishers create my solution – and that’s another of my favorite things about this challenge. An empty tic-tac-toe board becomes a Code Challenge. Draw an empty tic-tac-toe board on a sheet of paper. Laminate it or use a sheet protector so that it is ready to go. 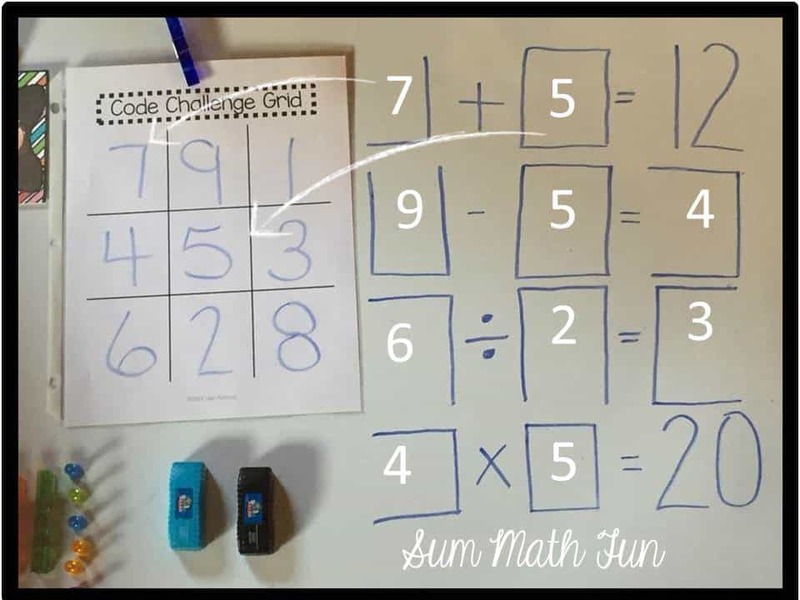 Use a dry erase marker to add numbers to each of the nine spaces. Differentiate by the numbers you choose. You can use two-digit, three-digit, any numbers you want, as long as each number is different. Using the board now full of numbers, write some problems appropriate for what you’re currently working on in class or what you want to review. 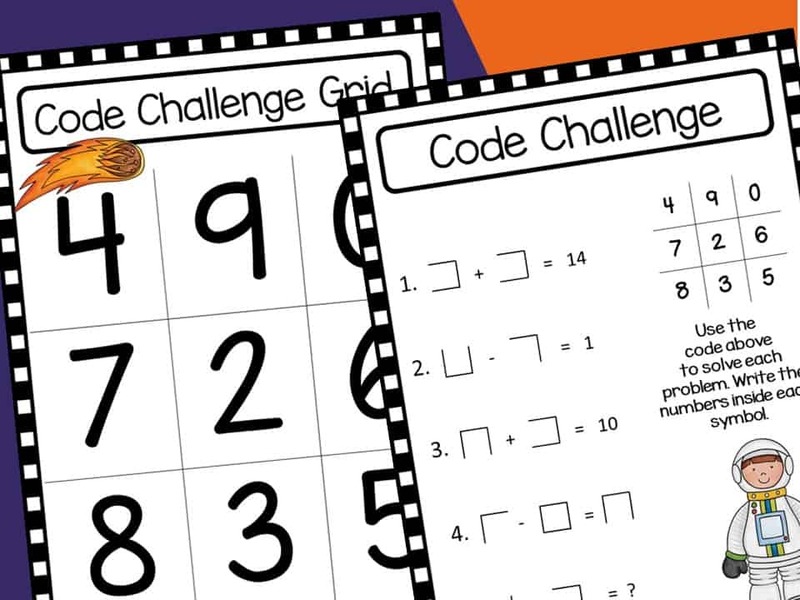 Ask early finishers to solve your problems by using the position of each number. For example, I wrote the number 5 in the middle position. It has lines on all sides that create a square. The code for the 5 is a square. The 7 is at the top left position of the grid. It has a line to the right and a line at the bottom. That formation is the code for 7. For my first equation, I used these two codes to create a problem for my early finishers to solve. They have to figure out what number corresponds to each code and then solve the problem. After I’ve done this a few times, I ask my students to write their own problems for their classmates. They love the challenge and I’ve just raised the level of Bloom’s Taxonomy to creating, evaluating, and analyzing – the three highest levels of thinking! This activity also works for a great homework assignment. Depending on the class and how much time we have, I sometimes have students first write their problems in their math journal so I can check them for accuracy. Other times I give them a blank sheet of paper and a felt tip pen to record their problems for posting right away for others to solve. 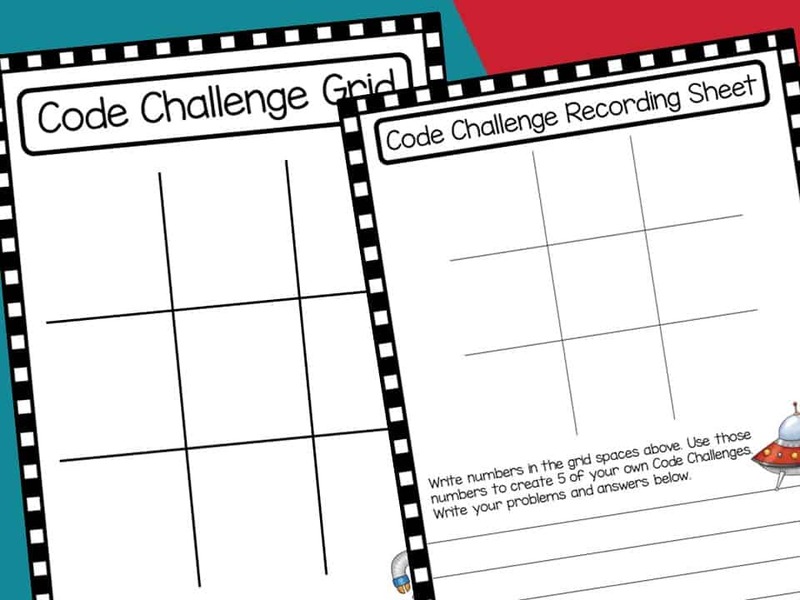 Then I place the problems created by the students beside the Code Challenge (filled in Tic Tac Toe Board). If you have a good community of learners, they will be happy to correct each other in a positive way if the problem created “doesn’t work” and you’ll have a spring-board for great mathematical conversation. We’ve frequently had productive “math talks” about problems that students presented for solving. I love the meaningful, in-the-moment discussions that develop. I save the student-created problems and use them for many days of creative problems right at my fingertips. 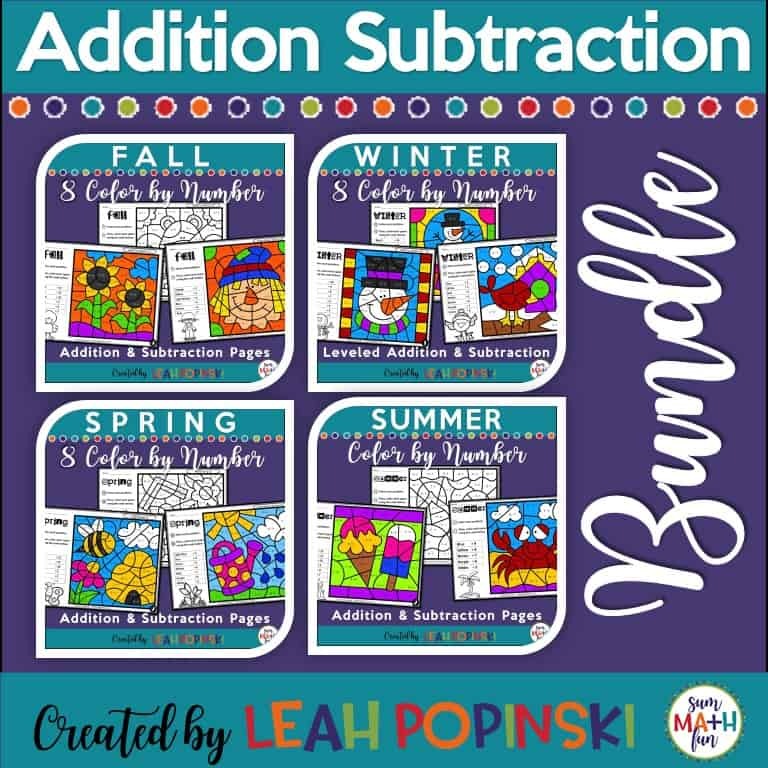 If you’d like a collection of “just print” pages for your early finishers, click the link below to see a video of a whole bundle of over 130 challenges! 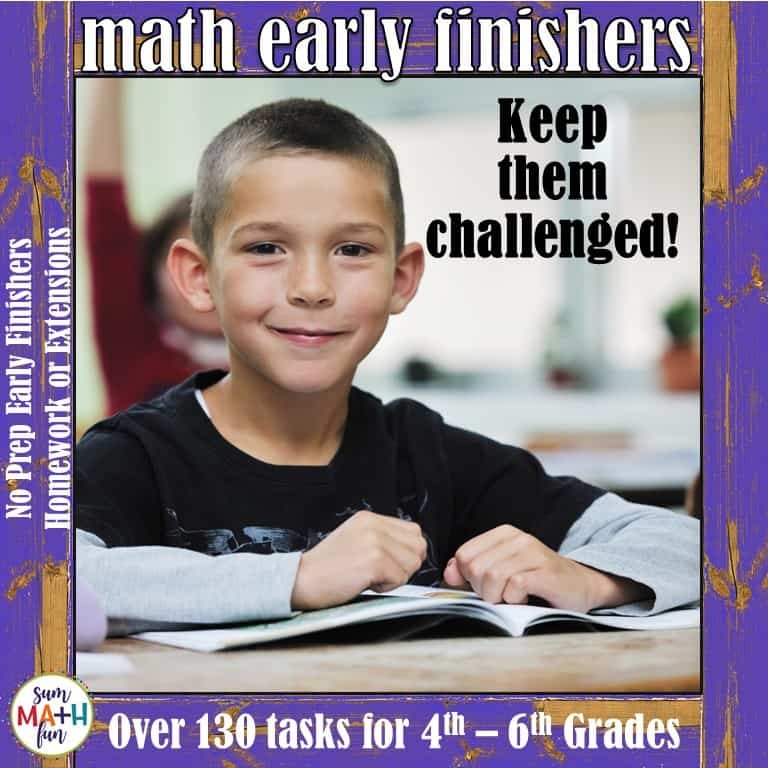 What easy, but challenging fast finisher tasks do you use in your classroom? You can share and comment below. You can find more Early Finishers ideas HERE! 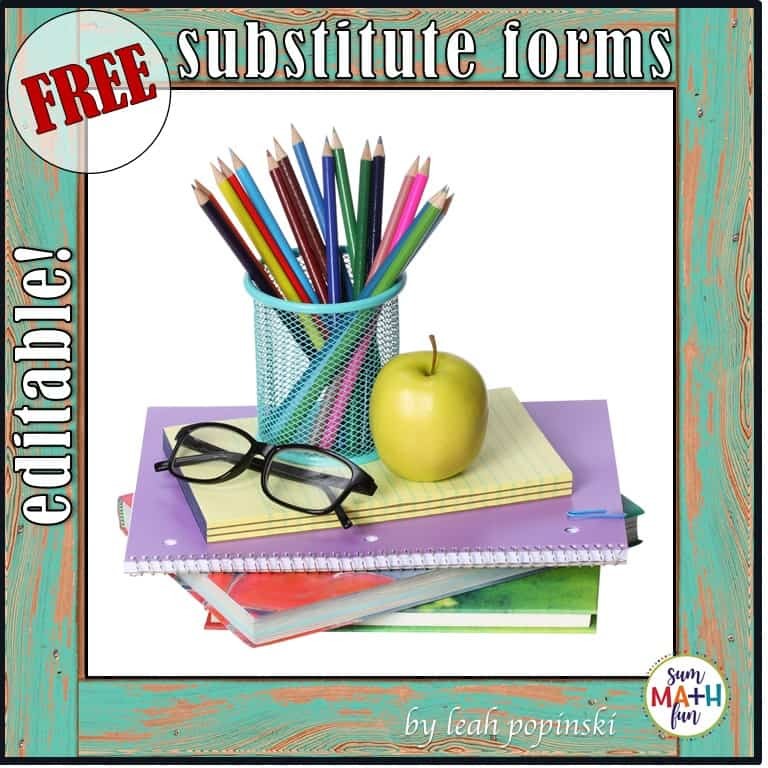 Subscribe below for your free resource using this idea. 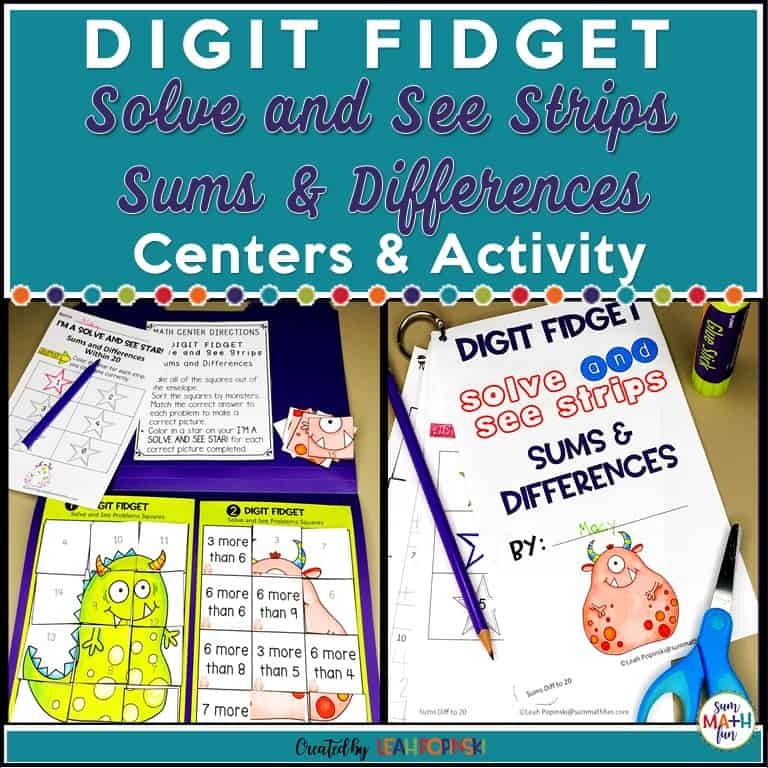 It includes free “just print” challenges plus lots of ideas for extensions. 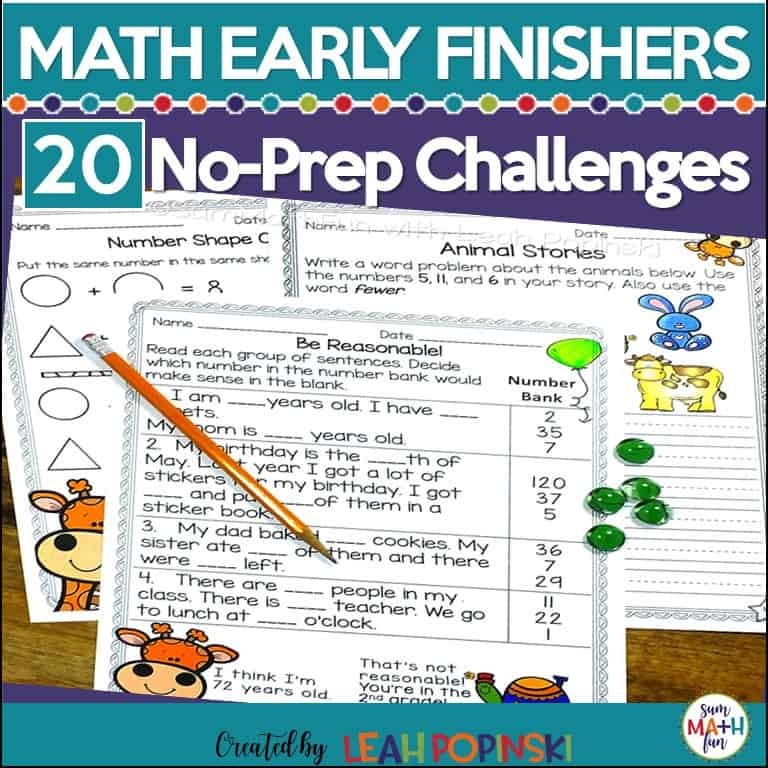 Introduce your students to these challenges and they will create your early finisher stash for you while you take care of all the other gabillion teachery things you have to do! Love, love, love, love this idea! 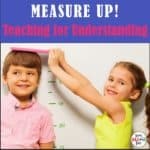 A great way to get students engaged and focused! 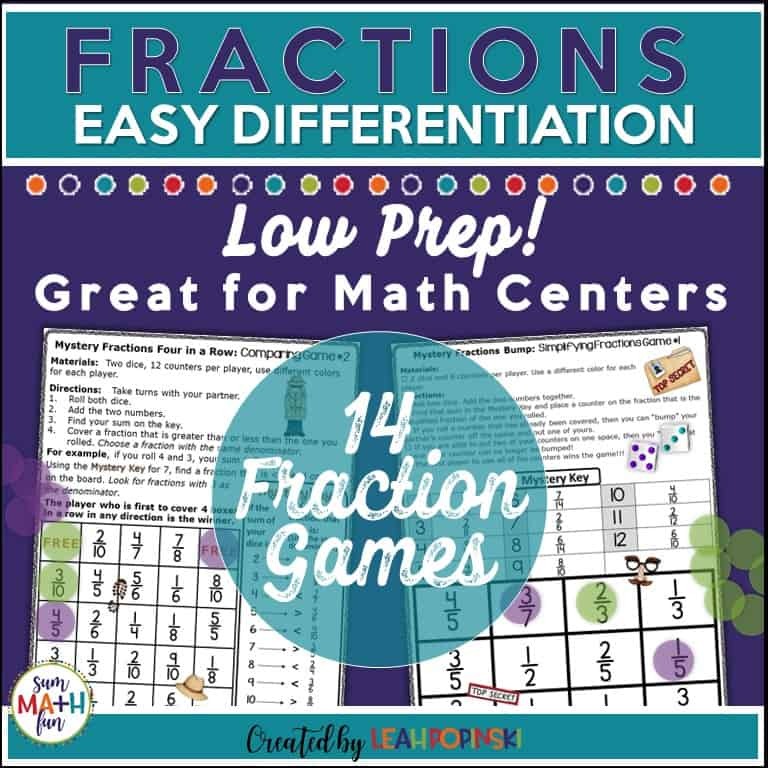 My advanced students and some of my lower level students could really benefit from this activity. Thanks for sharing this post! You’re welcome, Mahogany! I’m so glad the ideas will be helpful to you.